What Can Invalidate a Living Trust? With a living trust, an individual - known as the "settlor" - typically gives up control of property placed in the trust. Although trust law is largely state-specific, parties with an interest in a trust or its property may ask a court to invalidate all or part of the trust on the grounds there was some impropriety in its creation. There are several basic legal requirements for creation of a living trust; failure to fulfill any of these requirements may be sufficient to render the trust invalid. The settlor must intend to create a trust relationship, meaning that he must intend to give up his property for another's use or benefit. The settlor must transfer actual legal property to create the trust; the trust property may not be vaguely defined or nonexistent. Lastly, the trust must have at least one individual, known as a beneficiary, who will have the right to receive the benefits of the trust property. The details of these requirements may differ depending on the state in which the trust is executed. The law will not enforce a trust executed by a settlor who does not have mental capacity to execute. State law requirements for mental capacity may vary, but typically the law requires the settlor to have reached the state's majority age (usually 18), and to be capable of knowing and understanding what he is doing with his property. Because a trust is essentially a contract, the settlor must also meet any additional state-specific requirements for mental capacity to create a contract. Failure to meet any of these requirements may provide grounds to invalidate the trust. Even if a settlor has the proper mental capacity, a court may also refuse to enforce a trust upon evidence that someone exerted undue influence upon the settlor to create the trust. Again, these requirements vary by state, but proof of undue influence will generally require three elements: a confidential relationship (meaning a relationship of trust) between the settlor and the influencing party; a weakened mental state in the settlor that has been induced by some form of pressure or coercion from an outside party; and the fact that the party who reaped the benefit of the undue influence has received a larger share of the trust than he otherwise would have. 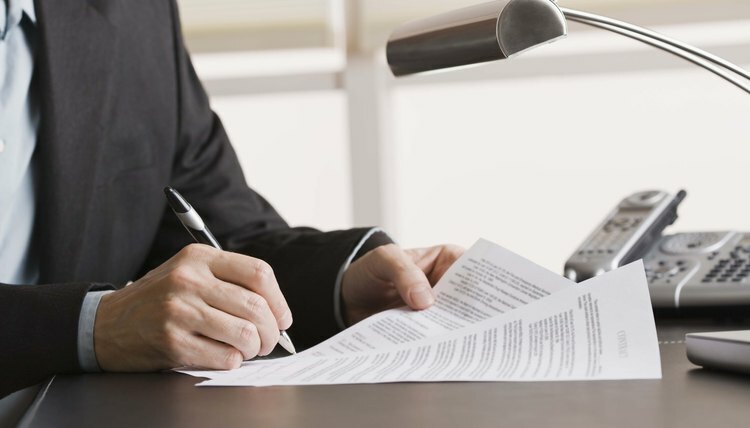 Actual procedures for petitioning a probate court to invalidate a trust depend on state law. If the petitioner is successful and the court invalidates the trust, the disposition of the trust assets may depend on the situation. If the settlor is still alive, then the assets will typically return to him as though there had been no transfer. If the settlor has died, the trust assets will become part of his estate. If the will mentions these assets, they will be given to beneficiaries as detailed in the will. If not, the assets will likely pass according to the state's laws for distribution of estate assets not determined by a valid will. An inheritance trust, usually called a testamentary trust, is a trust that is created by language contained in the last will and testament of the trust grantor. Since the trust does not go into effect until the grantor dies, it is considered an irrevocable trust under state probate law. Although the basic principles applicable to the termination of a testamentary trust are accepted by all states, procedures and details vary from state to state. A revocable living trust allows a person to designate property to be given to a beneficiary when he dies, while keeping control of such assets during his lifetime and the right to change or cancel the trust at any time. A living trust in California operates in much the same manner as a living trust in other states; however, community property laws may change what happens to a living trust if spouses divorce.